I finally ordered a Scandiphone this week. I mentioned it back in January when I envisioned it standing tall in its scarlet glory upon my Componibili. Considering we already had 2 house phones (one is an internet phone), plus mobile phones in our tiny one bedroom flat it would've been an unnecessary purchase. That's all changed now that our main cordless house phone doesn't seem to be holding its charge. 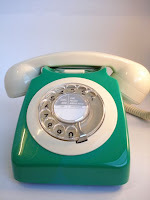 I saw no alternative but to get a scandiphone... (just let me have this one, please). 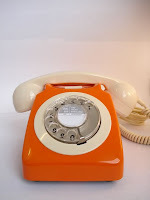 I was hoping to show you a picture of my new phone by now. It was apparently dispatched a few days ago but since I still haven't received it yet I've been looking at some other beauties while I wait impatiently. Those phones all look so great together! 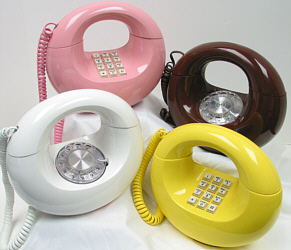 I grew up with the very boring black standard looking rotary dial phones - they had the most horrible harsh ring to them! Thanks so much for visiting me at The Doubletake! 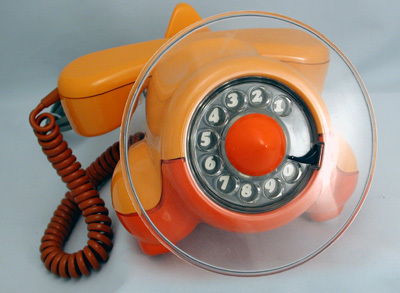 Cool phones-I agree, you had to have one. Oh, I WANT to end up like that lady! 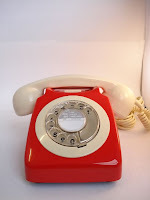 We already have the red phone. 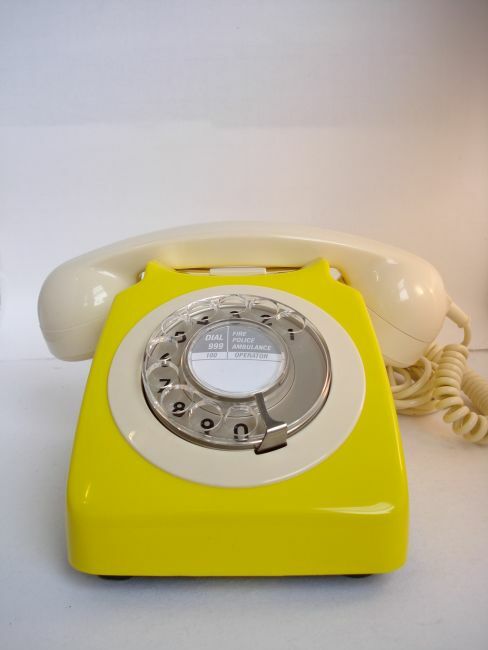 And I have an aqua rotary dial Trimline on my desk. But I would dearly love to have an Ericofon! Or any of the phones in those pictures, actually. 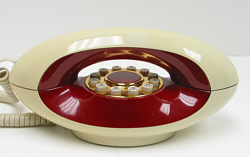 1950s - You could still use it to receive calls and have a more modern phone around to make calls, couldn't you? Heidi Ann - Your comment made me laugh. I suppose it wouldn't be so bad to be that lady. 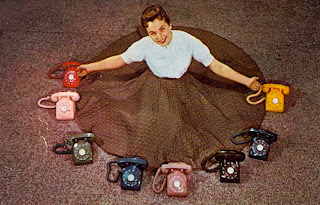 Hi Jim - Perhaps a phone for every room is in order? Sweet phones! I'm excited for you about your new phone. My husband and I just use our mobiles, so we don't have a home phone. Too bad, because I just bought a sweet red phone like the one in the last picture at an estate sale (it will be listed in my shop soon).